The main objective of this effort is to develop an exergy control strategy, applied to a ship medium voltage de (MVDC) grid that exploits exergy flow coupling between multiple subsystems. This work involves: 1) exergy control strategy development and 2) mapping exergy control system performance to ship-relevant metrics. A ship power grid Challenge Problem model will be developed to illustrate and resolve the fundamental gaps of exergy control. The model will also compare and contrast feedforward and feedback exergy control with conventional strategies. Ship subsystems and mission modules perform energy conversion during their operation resulting in a combination of electricity consumption, heat generation and mechanical work. Mission module thermal management requirements further impact the ship’s electrical grid, for example, via chiller operation. Subsystems often have opportunities for performing an energy storage role during their operation cycle. A ship crane is one example where potential energy is stored in the raised load and can be converted into electrical energy during lowering. Whether subsystem requirements are dominated by electrical, thermal or mechanical functions, they are coupled through energy and information flows, often by the ship’s electrical power grid. 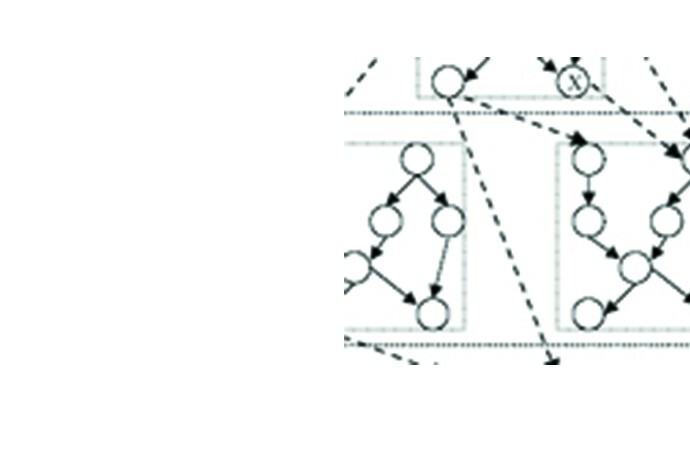 Treating each subsystem as a disconnected entity reduces the potential for exploiting their inherent interconnection and likely results in over designed shipboard systems with higher than necessary weight and volume. Realizing the opportunity of coupled subsystem operation requires modeling and control schemes that are unavailable today, but that we believe should require few infrastructure changes. We propose that the design and control of coupled ship subsystems should be based on exergy- the amount of energy available for useful work. A recent study, applied to a room heating system, showed that exergy control increased the overall efficiency by 18%. Since the system was powered electrically, this translated directly to a decrease in the electrical load. The main objective of this effort is to develop an exergy control strategy, applied to a ship medium voltage de (MVDC) grid that exploits exergy flow coupling between multiple subsystems. An exergy approach to control permits consideration of both mission modules and the platform infrastructure as mixed physics power systems that may act as loads, storage or sources depending on the situation. Instead of separately designed and managed subsystems that satisfy electrical and thermal requirements via static design margins a, multi-physics, unified system-of-systems approach is needed to enable affordable mid-life upgrades as requirements and mission systems evolve over the platform’s lifespan. Being able to translate the benefits of exergy control into savings in mass, volume, energy storage requirements and fuel usage is necessary for making rational design decisions for new ship platforms and for increasing the efficiency of legacy ship systems. Currently, there does not exist an analysis technique to map control system performance into ship-relevant performance metrics. This restricts ship designers from understanding the tradeoffs of adopting advanced control schemes that may exploit subsystem coupling. One of the objectives of this work is to develop a method for extrapolating control system performance into ship-relevant metrics that impact mass, volume, energy storage, and fuel usage. As described above, there are two main thrusts to this work: (1) exergy control strategy development and (2) mapping exergy control system performance to ship-relevant metrics. We will develop a ship power grid Challenge Problem model that will illustrate the fundamental gaps of exergy control that will be addressed. The model will also be used to compare and contrast feedforward and feedback exergy control with conventional strategies. Techniques for mapping the results of the exergy control to weight, volume, and energy storage requirements will be developed and applied to the Challenge Problem throughout the project. Investigators: Gordon Parker and Rush Robinett, and Ed Trinklein. From large scale electric power grids and microgrids down to small scale electronics, power networks are typically deployed using a fixed infrastructure architecture that cannot expand or contract without significant human intervention. Mobile, monolithic power systems exist but are also not readily scalable to exploit surrounding power sources and storage devices. However, if a power network is constructed from physically independent and autonomous building blocks, then it would be infinitely reconfigurable and adaptable to changing needs and environments. The aim of this project is to integrate vehicle robotics with intelligent power electronics to create self-organizing, ad-hoc, hybrid AC/DC microgrids. The main benefits of this system would be the establishment and operation of an electrical power networks independent of human interaction and can adapt to changing environments, resource and mission. In the context of U.S. Naval platforms, this autonomous electrical network could be used in land, air or sea systems. The focus of this work will be on land based autonomous microgrid systems, but the fundamental theory developed may be applicable to air and sea based systems as well. Investigators at Michigan Technological University have developed initial hardware and testbeds to study this problem. However, a more detailed theoretical foundation is needed to be developed to apply autonomous microgrids to a wide variety of operational scenarios with various resources. It is also hypothesized that given the flexibility of this approach that it could be equally applied over a vast scale of energy assets. A microgrid that grows in situ from 10 s to 100 s to 1000 s of energy assets can be equally managed, controlled and optimized through the highly scalable approach proposed in this project. These applications are examples of the critical need for autonomous mobile microgrid capable of operating in highly dynamic and potentially hazardous environments. Our overall goal is to create a scalable architecture to develop a system that accounts for uncertainty in predictions and disturbances, is redundant, requires minimal communication between agents, provides real-time guarantees on the performance of path planning, and reaches the targets while making electrical connections. Such architecture provide a coherent layout for the interconnection between different disciplines on this topic and minimizes the integration concerns for future developments. Umesh Korde has been active in the area of ocean wave energy utilization since 1982. He has worked on several aspects of the problem, though his research over the last three decades has primarily been concerned with the dynamics, control, and hydrodynamics of oscillating bodies and pressure distributions performing as the primary working element of a wave energy converter. Of particular interest in the last few years have been small devices capable of integration into measurement and sensing systems in the ocean, as well as shore and ocean based microgrids serving a variety of applications. 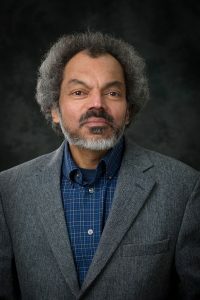 A focal area of his current research has been new techniques for modeling and control, including novel ways to utilize existing approaches. Dr. Korde has also worked on the dynamics and control of flexible bodies including lightweight membranes, for space applications such as steering and shaping of laser beams, tunable passive damping of lightweight structures, and self-healing of structures using focused stress waves. Dr. Korde serves as an associate editor for the journal J Ocean Engineering and Marine Energy (Springer), and is a Fellow of the American Society of Mechanical Engineers. Dr. Zhang received his Ph.D. degree in Transportation Systems Analysis and Planning from the Department of Civil and Environmental Engineering at Northwestern University in December 2009. After working as a Postdoctoral Fellow in the Transportation Center at Northwestern, he joined the Energy Systems Division at Argonne National Laboratory as a Postdoctoral Appointee in November 2010. He is a member of Transportation Research Board (TRB) standing committees of Transportation Network Modeling (ADB30) and Freight Transportation Planning and Logistics (AT015). He is also a member of INFORMS. Consult on advanced control and energy storage architectures for microgrids. 1) Multiple Spinning Machines on a Single AC Bus – Finish the development of the Hamiltonian Surface Shaping Power Flow Controller (HSSPFC), controller design for multiple spinning machines on a single AC Bus. 2) Unstable Pulse Power Controller – Perform simulation studies on the unstable pulse power controller relative to the optimal feedforward (stable) controller for a single DC bus in order to determine the effectiveness of the unstable controller design relative to performance and stability. Help characterize path forward for nonlinear control design. 3) Preliminary assessment of nonlinear wave model and impact on power absorbed.